Meadowhead School - What a FLYING START! 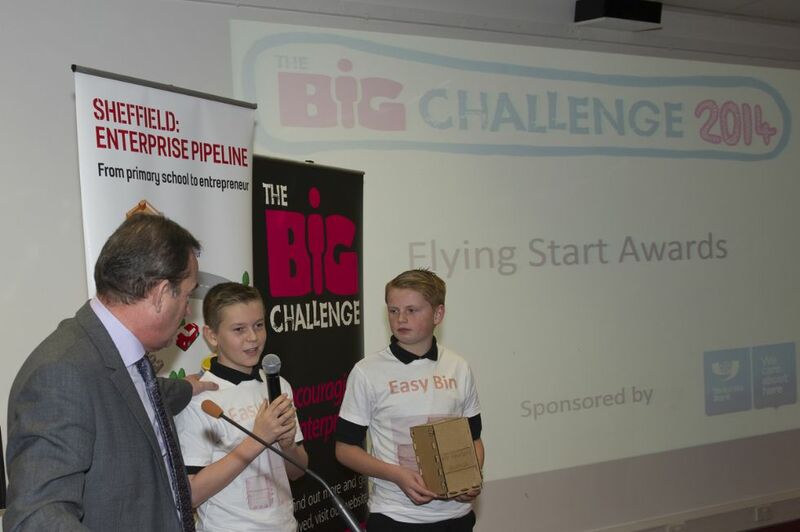 A fabulous 14 teams from Meadowhead and another 46 teams across the city entered this first interim competition in the Big Challenge last month to prove that they had made a ‘Flying Start’ in their new business venture. Mrs Goodrum and I were delighted to accompany two teams to the award ceremony on 6th December 2013 where two of our teams scooped prizes for their efforts so far in the challenge! First time entrepreneurs EASYBIN (Y9 pupils) won a ‘Highly Commended’ award of £25 for their business making wooden desktop waste bins for vegetable cuttings or other waste and smaller pencil pots with an innovative interlocking design meaning no glue, nails or staples are required to put the boxes together. The star of the show however, was Harvey Morton in Y11 deemed “a serial entrepreneur” according to the Master of ceremonies David Grey, (group Managing Director of OSL Group Ltd) who presented him with ‘1st prize’ of £150 for his company HARVEY MORTON IT SUPPORT, which offers a range of IT support to customers across Sheffield. 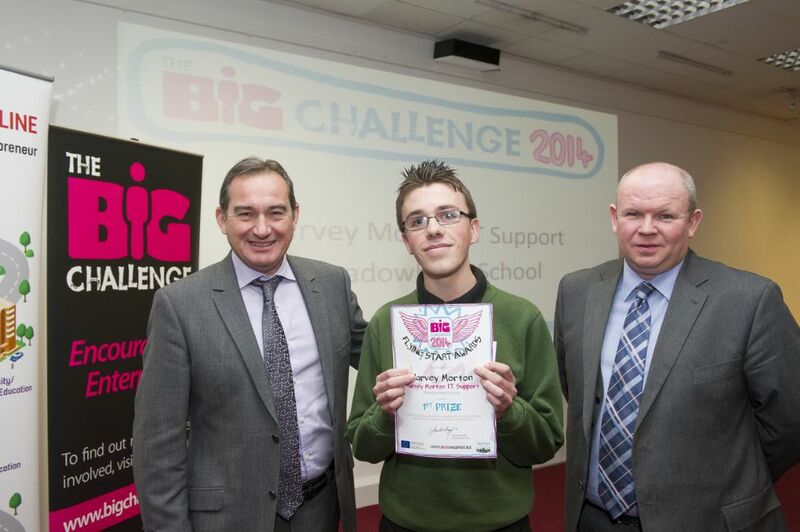 Harvey is now in his third year of running his own business in the Big Challenge, starting out as a humble entrepreneur selling key-rings back in 2011. Harvey has thrived in the Big Challenge ever since, finding and developing his passion for IT and making money through starting up his own website to promote his business, and has now already developed mobile phone apps for corporate clients, set up new home computers, iPads and i-Tunes libraries for clients for a reasonable price, as well as generating revenue from selling advertising space on his own website and social media and through promoting products sold Amazon via his successful website. Huge congratulations and well done to both teams – we are all so proud of you so keep up the good work! Good luck to all Meadowhead teams in the next interim competition – The Media & Marketing awards in January.